No one can deny screen rotation is an important feature for a smartphone. However, you’ve probably had your phone’s screen accidentally switch between portrait and landscape mode then once. Luckily, this is preventable since it is possible to control screen rotation for specific apps on Android. Some apps are best when used in landscape mode, while others have a layout that’s easier to use in portrait mode. Of course, there are also those apps that work both ways, but ultimately it’s just a matter of personal preference. Of course, we can temporarily lock the screen orientation but more often than not, we forget about it until we’re tilting our phones trying to switch it back. Nevertheless, the better solution lets us control screen orientation for specific apps on Android. After you install and run the app, you’ll be greeted by a welcome screen. Swipe to the next page and tap on the circle icon next to the option called “Auto-Rotate On” until it displays “Forced Portrait” instead. This will set portrait orientation as the default and you’ll be able to customize screen rotation for specific apps later. By default, the app has a permanent notification enabled. 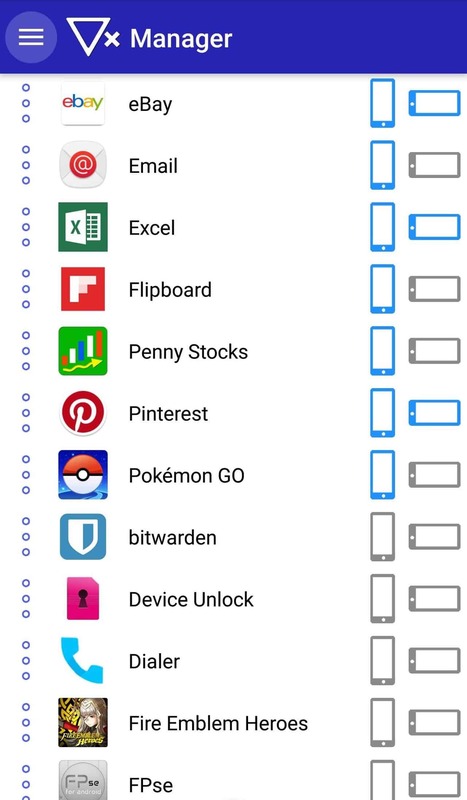 Its main purpose is to let you quickly access the app from the notifications drawer and also make sure the Android memory management system doesn’t close it while running in the background. Ultimately it’s your choice but the app seems to be working just fine without this notification so you won’t miss anything if you disable it. With that out of the way, enable Rotation Manager by tapping on the round power icon. 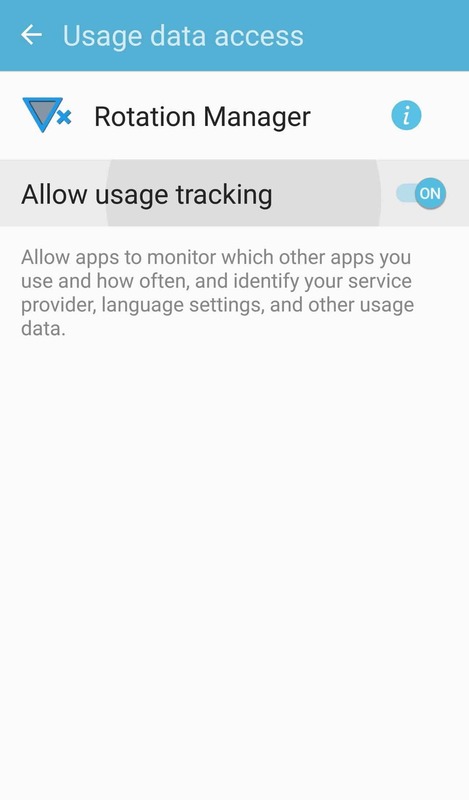 This will take you to a Settings page for Usage data access. 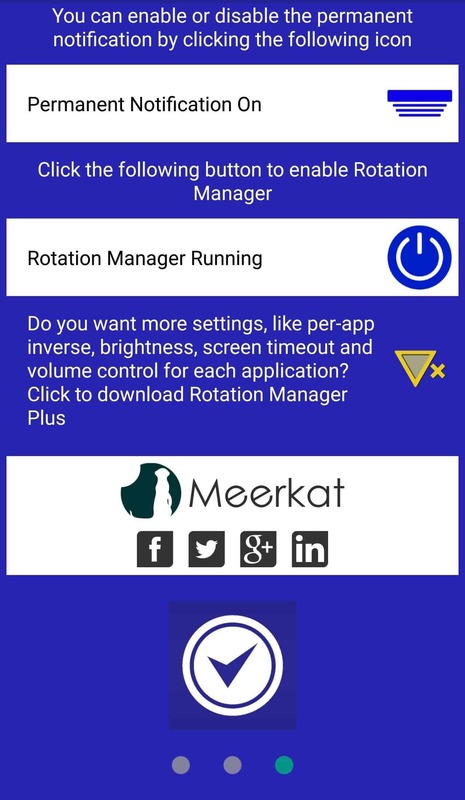 Scroll down a bit until you get to “Rotation Manager”, tap on it then enable “Allow usage tracking”. Now you can return to the app and tap on the checkmark icon to complete the setup. 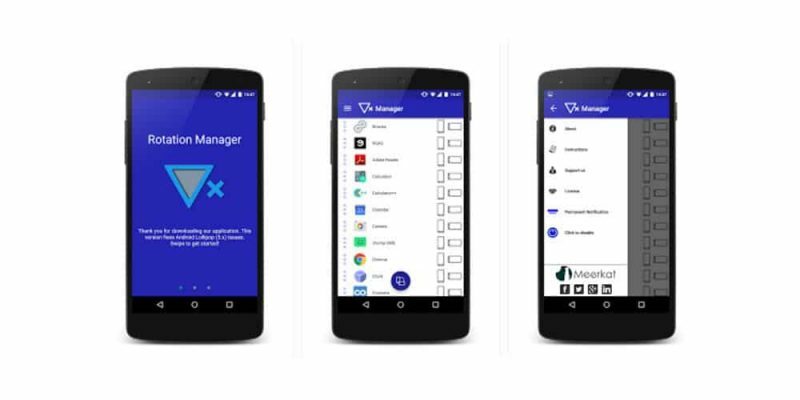 Now, you can finally customize the orientation of individual apps. The way this works is very easy. You can tap on either the horizontal or vertical icons to set an app to lock in landscape or portrait mode. 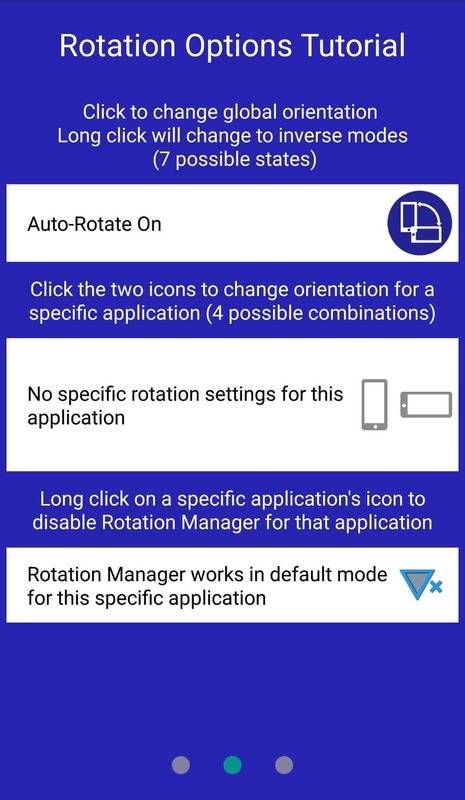 If you want an app to be able to auto-rotate, then enable both icons. It’s as simple as that. It might take some time to go through all your installed apps, but once you customize their screen rotation settings you will never have to worry an app will accidentally auto-rotating again. Have you tried Rotation Manager and how do you like the app?